NBA Draft Picks #1 pick DeAndre Ayton from the Phoenix Suns, Duke’s Marvin Bagley III of the Sacramento Kings, Luka Doncic with the Dallas Mavs. Baseball will have Ozzie Albies of the Braves, Rhys Hopkins of the Phillies, Rafael Devers from the Red Sox and Shohei Ohtani of the Angels. The last three cards will be NFL players, Cleveland Browns #1 Pick Baker Mayfield, #2 Pick Saquon Barkley of the NY Giants and Sam Darnold of the NY Jets. Topps will have a taste of home cooking in their VIP card set. The 5 cards will include current and former Cleveland Indian players and will be a flashback to the 1983 Topps regular issue. Featured in the set are Corey Kluber, Francisco Lindor. Bob Feller, Jim Thome, and Omar Vizquel. The folks over at Beckett have Fat Packs Gear for sale. From July 9th to July 18th use the code fatpacks50 and receive 50% off on your order. 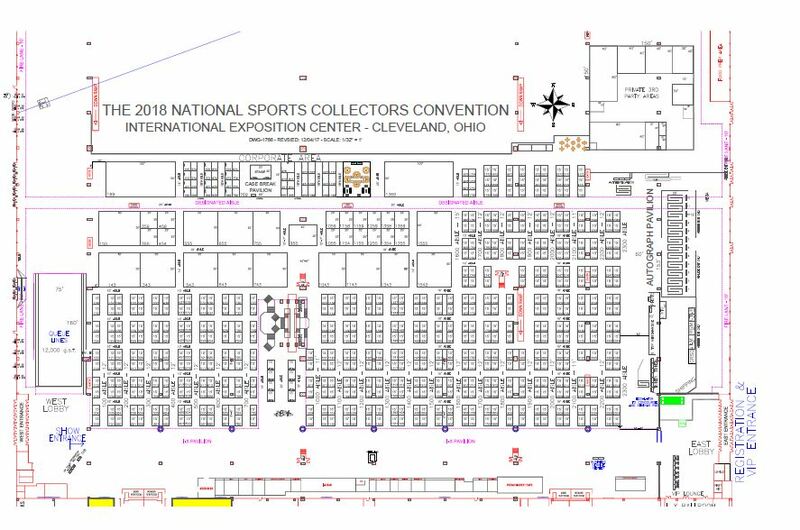 Plus anyone who stops by the Beckett booth in a Fat Packs shirt will be entered into a giveaway. You must check in with Eric to be entered. 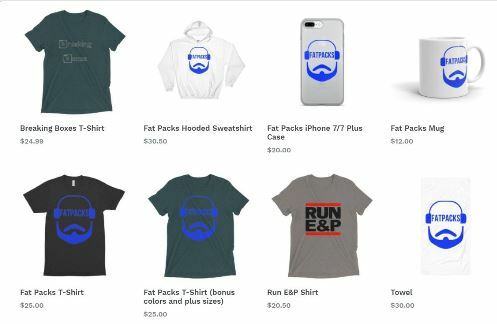 FatPacks Gear can be purchased by clicking here.